Jane Lofton's Adventures in School Libraryland: Time for the Next Adventure! 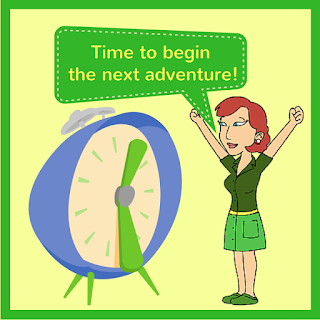 If you have been reading my school library blog, you will already know that I made a big life cycle change last Friday: I retired from my position as Teacher Librarian at Mira Costa High School. Here's a short summary of my "wrap up" at Mira Costa and my plans for the "next adventure." You can read more about the award and my open letter to seniors in this blog posting on my school library blog. The three-minute length had pros and cons. The good thing is that it is short enough that I hope people were/are willing to watch the entire film. The bad thing, of course, is that I had to be so concise and leave so much out. And, since every slide needs to be the same length, I know that some of the slides go by a bit fast, making it difficult to read them. So, I also uploaded all the photos I used in the video to a Flickr album. I also included a lot of other photos I wanted in the video but couldn’t fit in the time allotment. Here is the link. 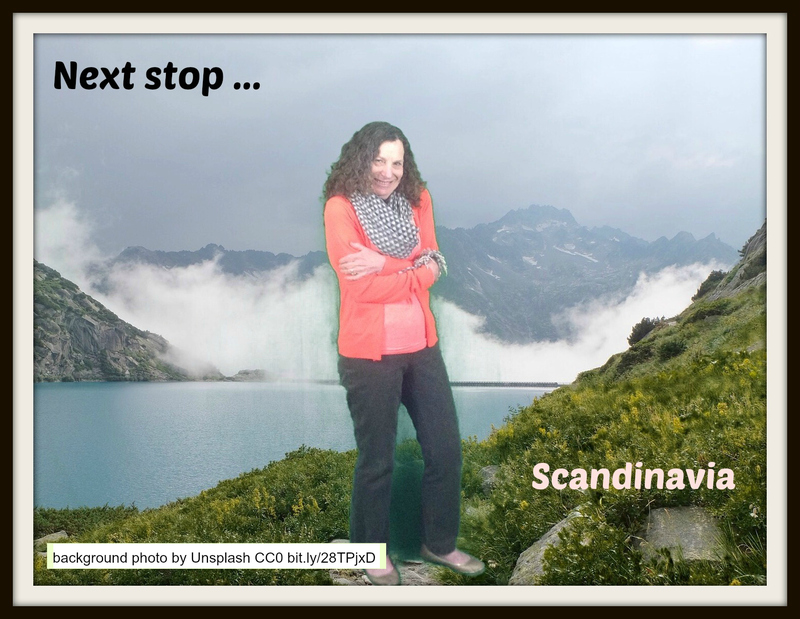 This photo was taken with the library’s green screen and the Do Ink Green Screen app. For the background, I used a CC0 photo I found on Pixabay. Then, I added the frame and labels with Picmonkey. Wishing everyone a wonderful start of summer!